Today I was a guest on the lovely Kathleen Pooler's blog, "Memoir Writer's Journey". I hope you'll check out my post and her wonderful blog. Anger and angry. 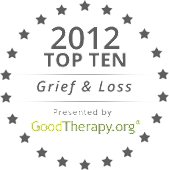 They're not usually perceived as being positive or necessary or productive, and yet as you say they are often a necessary part of processing grief and loss. Is it that we don't like to admit the feeling or is it that it manifests in different ways in different people, anger can be internalised and suppressed, cause frustration, stress or it can be turned outward and be expressed loudly, physically even violently. Personally, I know that when I feel anger, I try to understand it and try not to dwell or stay with that emotion but to search for other ways to understand what has happened. That said, I have definitely learned lessons from those who express their anger freely and vociferously, because I have seen that they often move on quite quickly having released this pent up energy - as long as we minimise the negative effects on others, it can be liberating to express the anger and move on. Thanks for your inspiring post and the guest post - very moving and thought provoking.